Audience members of Andreas Ottensamer’s final performance as artist in residence for the Bournemouth Symphony Orchestra were treated to an extravagant and taut recital at the Lighthouse Concert Hall in Poole. Being principle clarinettist of the Berlin Philharmonic and founder of his family’s clarinet trio, The Clarinotts, the highest of standards were to be expected from this world class musician and that is precisely what was delivered. Ottensamer, who has worked with a variety of ensemble and orchestral sizes during his residency, finished the 2017/2018 collaboration with an intimate set of works for clarinet and piano alongside Argentinian pianist José Gallardo. Ottensamer and Gallardo share a rich history of working together, both in performance and as the artistic directors for Bürgenstock Festival in Switzerland. The electricity between the two is tangible and the energy they possess together feeds into their expressivity. 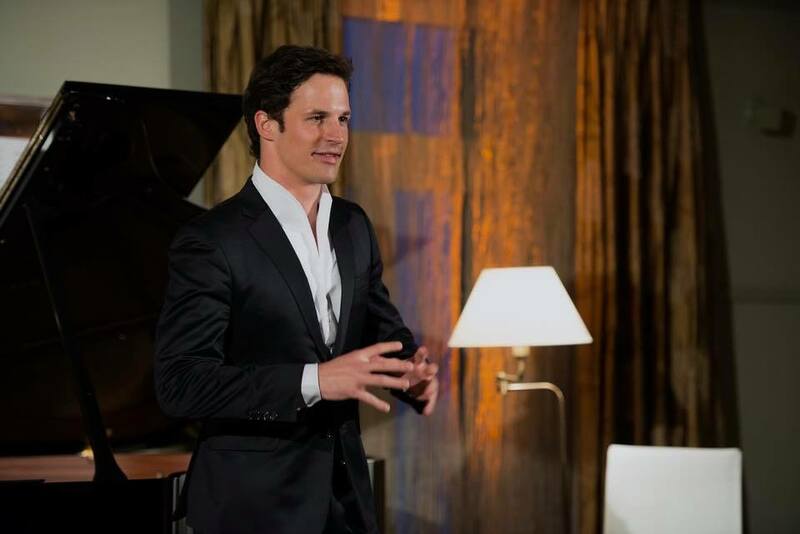 Addressing the audience, Ottensamer remarked that he views duet performance as “one of the purest ways of making music” and it was clear that he felt a great affinity with the programme in addition to the thrill of working with Gallardo. A seemingly unusual blend of French and American music spanning from the late nineteenth century through to the twenty-first, Ottensamer explained that the fragile thematic similarity that threaded the pieces together was that of their harmonic similarities and of atmospheric intention. And indeed, the works by Debussy, Templeton, Widor, Kovács, Gershwin, Poulenc and Horovitz despite their geographic and historic differences, seemed to possess some element of unity as stated. Seeming to encapsulate the essence of the entire recital at once, Ottensamer and Gallardo opened the night with Claude Debussy’s Première Rhapsodie (1909). Written as a test piece for the students of the Paris Conservatoire, Ottensamer was immediately permitted to display the expansive versatility of his playing with a sweet, subtle opening of careful nuances in tone to hugely dextrous passages of wide ranging scales. The virtuosity in performance was undeniable here and was instantly gripping to behold. The three-movement Pocket Size Sonata No.2 (1959) by Alec Templeton followed the Debussy, with wonderful restraint from Ottensamer. The laid-back quality was perfectly illustrated by both musicians, with only hints of richness allowed to break forth at key flourishes. This was particularly important in the final movement which was performed brightly, but not affrontingly so. The result was a music which teased at the listener, begging for a passion which was sparingly distributed. Charles-Marie Widor’s, Introduction et Rondo (1898), another piece which was written to test students of the Paris Conservatoire, has clear jazz influences and really seems to transform the clarinet into a saxophone with its idiomatic writing. The introduction was played by Ottensamer with an incredibly seductive sultry tone which drew the listener in then smote them with the energetic and excitement fuelled brilliance of the rondo. The physicality of his performance was especially evident in this piece; the every movement of the clarinet and its player’s posture sculpting the sound of the opening phrases. The apparently ironically titled, Easy Moments (2005), by Béla Kovács had required an almost constant variation in tone colour which was expertly and subtly executed. From toe-tapping excitement to an upbeat sensuality, the engagement in this piece was particularly lithe between both Ottensamer and Gallardo; the statements made back and forth with rhythmic precision. Some exceptionally well controlled moments involving flutter tonguing and glissando which did not come across abrasively. The Prelude No.1 (1926) by George Gershwin (arranged by Stephen Koncz) is the clarinettists answer to playing the iconic glissando from Rhapsody in Blue by the same composer but in a recital setting. Ottensamer dove into the opening, which is remarkably similar to Rhapsody, in a biting, almost sickly manner which is exactly what is required of the music. The aural result is both shocking and appealing, especially since it was played during applause! The rest of the piece is filled with the bubbling movement one expects from Gershwin and was kept light, almost matter-of-fact, by the performers. Francis Poulenc’s, Sonata for Clarinet and Piano (1963), was a highlight in an already fantastic programme, containing some stark aural links to other composers. The rhythmic driving force in the first movement was kept light and rather playful by Ottensamer and Gallardo, with some stunningly phrased moments in the meditative middle section. There appeared to be some reference to Mozart’s Figaro in this movement which was was rounded off by a surprising piano flourish imitating Messiaen’s d’oiseaux works. The second movement was akin to an operatic aria, not least due to the melodic connection to Purcell’s Dido and Aeneas. This movement was played with a heart wrenching darkness which Ottensamer controlled beautifully and with great lyricism. The final movement was a whirlwind of activity which conjured Shostakovich’s Gadfly immediately. The busy exuberance in this movement was portrayed brightly by the two performers with excellent precision and dialogue between the pair. Some voluptuous clarinet interjections emerged through the persistence of this movement before a finishing statement. Another arrangement by Stephen Koncz, Debussy’s, La Fille aux Cheveux de lin (1910), came next. The poignant note at the start of the piece was impeccably controlled by Ottensamer, which opened up the first phrase like dawn breaking. A great deal of delicate playing in this piece, which Ottensamer balanced with some movement at various moments. This piece benefitted greatly from its presence in the Lighthouse Concert Hall; the resonance just enough to keep the harmony warm without muddying the sound. The final piece on the programme was Joseph Horovitz’s, Sonatina (1981). This three movement work was light, lyrical and fun which was brought forth by Ottensamer and Gallardo who were clearly having fun themselves. The majority of the piece was relaxed and bright, with some darker moments in the second movement. However, the third movement was vibrant and commanding with some explosive moments energetically expressed by the musicians. The constant irregular accented syncopation made for an enticing ending with a long clarinet trill heralding in the close. Both Ottensamer and Gallardo conveyed a genuine enthusiasm for the music they played and their calibre of performance cannot be overstressed. Even in the two encore pieces they presented, a level of quality and joy in playing was conveyed. I have been careful not to use the word “accompanist” when describing Gallardo, as he is far from a backing track to play against. The programmed pieces required a high degree of musicianship from clarinettist and pianist alike and the tenacity with which this was delivered was astounding. Definitely try to see these performers if you can as it was an absolute pleasure to witness such connected musicians in concert, and if this is the standard for Bournemouth Symphony Orchestra’s artist in residence, I cannot wait to see who is next.